The name Pitlochry comes from the Gaelic "Pit Cloich Aire", meaning "place of the Sentinel Stone" and it was originally a Pictish settlement. Pitlochry is a burgh in the county of Perthshire in Scotland, lying on the River Tummel. It is administered as part of the council area of Perth and Kinross, and has a population of 2,776, according to the 2011 census. It is approx. 25.5 miles from Perth city centre. 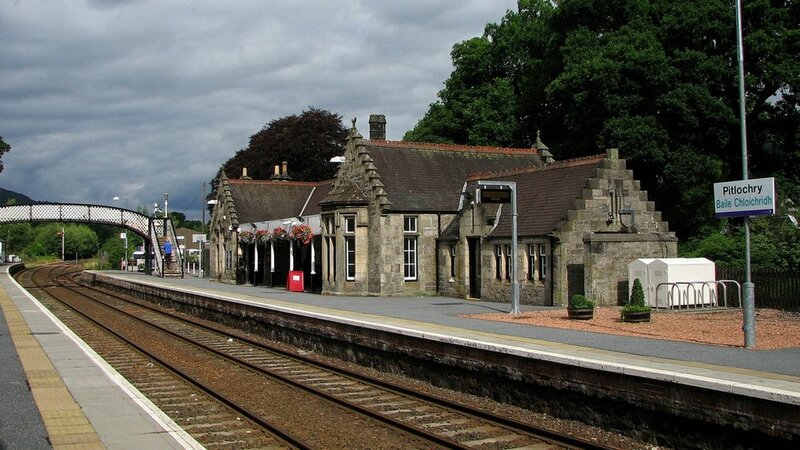 Pitlochry has a lovely little Victorian train station which is a short 5 minute walk from McKays Hotel. All Highland main line services between Perth & Inverness call here (11 departures each way per day in total), providing links to both Glasgow Queen Street and Edinburgh Waverley. They have disabled access and run from 2 platforms. You can also catch the overnight sleeper to and from London Euston which comes direct. The town of Pitlochry is in the heart of the Perthshire Highlands. Surrounded by stunning countryside and wildlife. Mountains such as Ben Vrackie, just to the north-east of Pitlochry is a huge visitor attraction. On a clear day its summit boasts breath taking views of large swathes of Scotland. Pitlochry is a very popular destination for tourists, especially those travelling with dogs, because of the fantastic walks Pitlochry has to offer, such as Ben y Vrackie, Loch Faskally, Faskally via Garry Bridge & Loch Dunmore. For more information on local walks, you can visit Pitlochry Visitor Centre which is located on the main street, Atholl Road. Being dog friendly in a rural town such as Pitlochry is a must, therefore McKays Hotel not only offer a dog friendly restaurant/bar, we also offer dog friendly hotel rooms so you can bring your furry friends along with you on your adventure!